The body of the missing army general, Retired Major General Idris Alkali, has been found by the Nigerian Army. ChannelsTV reports that Alkali’s body was found in Guchwet in Shen of Jos South LGA of Plateau State. A parade will be held in honour of the late officer, the leader of the operation search and rescue, Brigadier General Umar Mohammed, said. Alkali had been declared missing on September 3 after he left Abuja for a trip to Bauchi. He died a few days after retiring from the Nigerian Army. 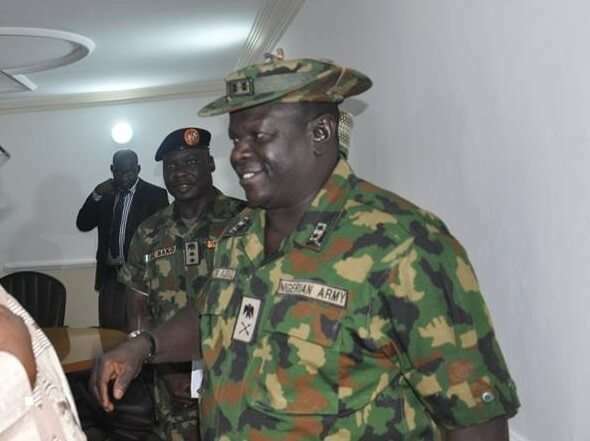 The post Body of Missing General Alkali found by Army appeared first on BellaNaija – Nigeria breaking & top news to the World 24/7. Read Today.